I read the other day about a banana bread recipe (from Pamela Salzman) using the almond pulp leftover from making my own almond milk. As I do that all the time, I am left with tons of pulp. 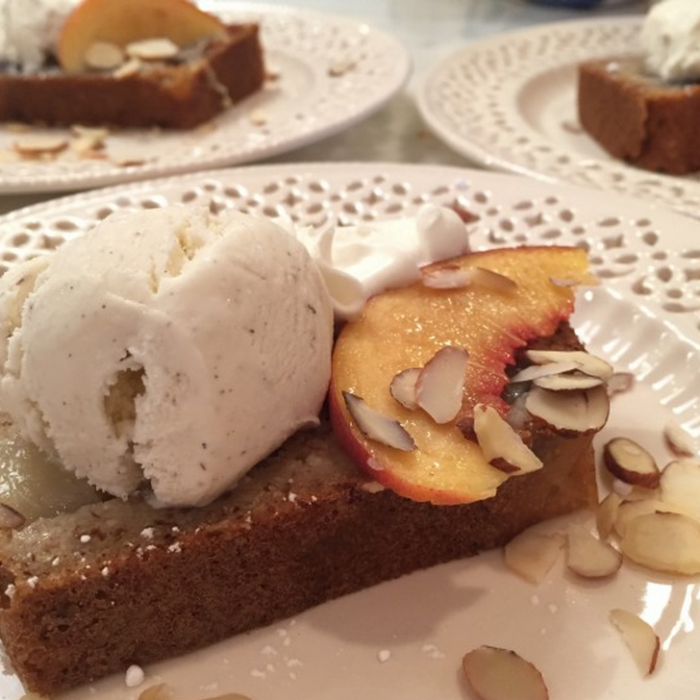 I can only make banana bread so often so I tried a version of it with peaches and it was delicious. I served it for dessert with vanilla ice cream and whipped cream. My kids had it for breakfast as well and loved it.